Pacific islands are suffering from regular epidemics of Dengue, Zika and Chikungunya. In a decade-long dance around our Ocean, these viruses continually migrate to countries where the population has lost its immunity… But it doesn’t mean there is nothing to be done. 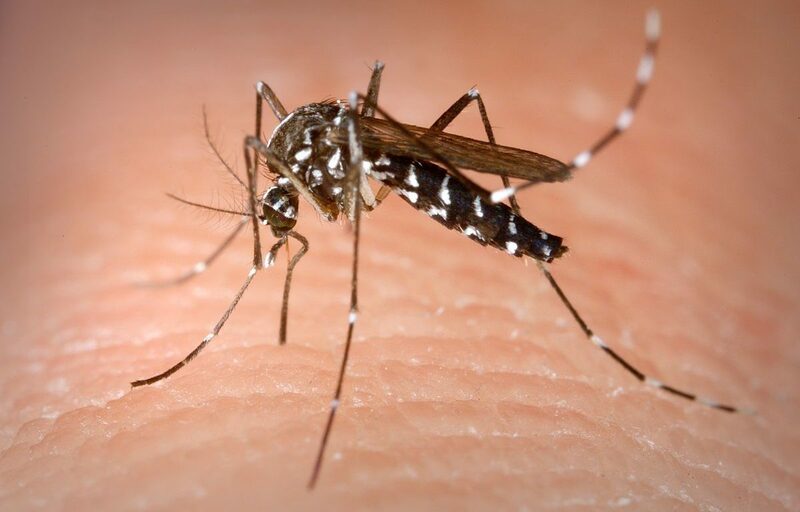 Since the arrival of the Zika Virus, probably imported from African soccer players during the Beach Soccer World Cup of 2013 in Tahiti, fighting against these arboviruses transmitted by mosquitoes have been cranked up. For example, in February 2017, soccer players (again) from Vanuatu introduced Dengue type 2 in French Polynesia, a strand that was absent from the country since the year 2000. This meant that a good proportion of the population had no immunity and that the illness would join in two other epidemics in the territory, Dengue type 1 and Zika. Taking a hint from the successful strategy adopted against Chikungunya by New Caledonia, another French territory in the Pacific, Tahiti launched a big fighting response: keeping watch on all Dengue-like sick people, safety instructions at airports and marinas, immediate extermination of mosquitoes around all the places where ill people went, and strict mosquito-protection protocol for the sick. And it worked, a new epidemics was avoided. Palau and 4 other countries in the region didn’t have such luck, and are currently suffering from this Dengue epidemic. 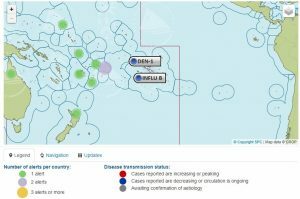 A map (check it out here) to follow epidemics across the Pacific is edited by the Pacific Public Health Surveillance Network (PPHSN), “a voluntary network of countries and organisations dedicated to the promotion of public health surveillance and appropriate response to the health challenges of 22 Pacific Island countries and territories.” The map is fed by Health professionals and authorities from the region and updated daily. More than the technical help, the map is actually the most precious ally. It allows authorities to target their safety communication and protocols to visitors from specific countries where an epidemic is raging, that could infect their home country. And it has the precious benefit of aggregating data from a bilingual region. As Doctor Martine Noël explains, “we are often in contact with teams from French Polynesia to exchange informations, but this is easy as we all speak French and we are under French sovereignty. The SPC is important for that, it is a link with all the other countries”. Photo credit: James Gathany/CDC – This media comes from the Centers for Disease Control and Prevention‘s Public Health Image Library (PHIL), with identification number #4487 – This is an Aedes albopictus female mosquito obtaining a blood meal from a human host. Previous Previous post: Say welcome to Heke, our new mascot!